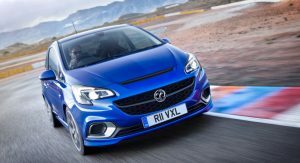 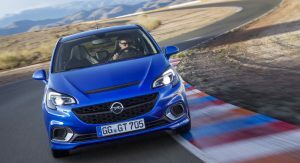 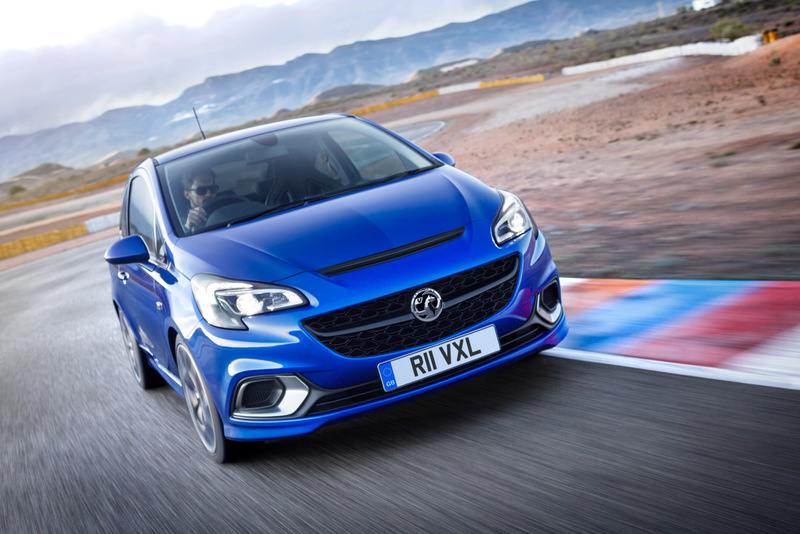 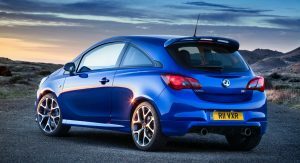 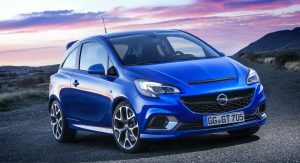 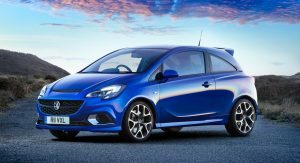 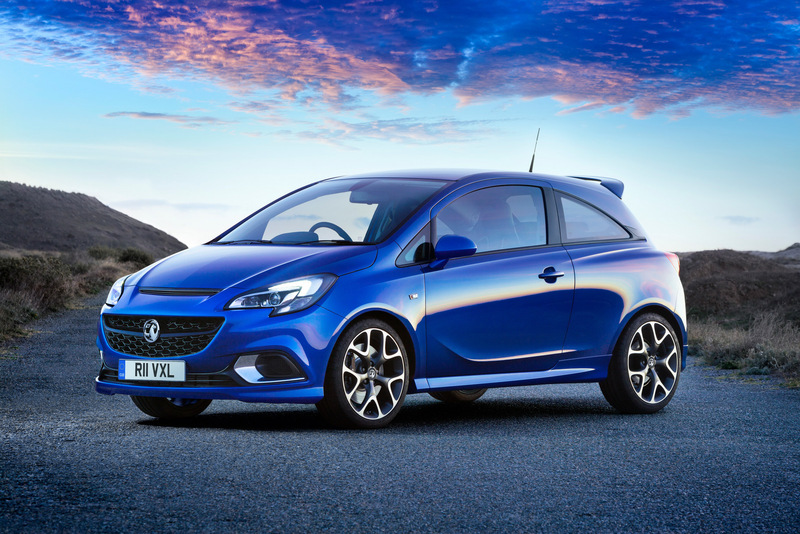 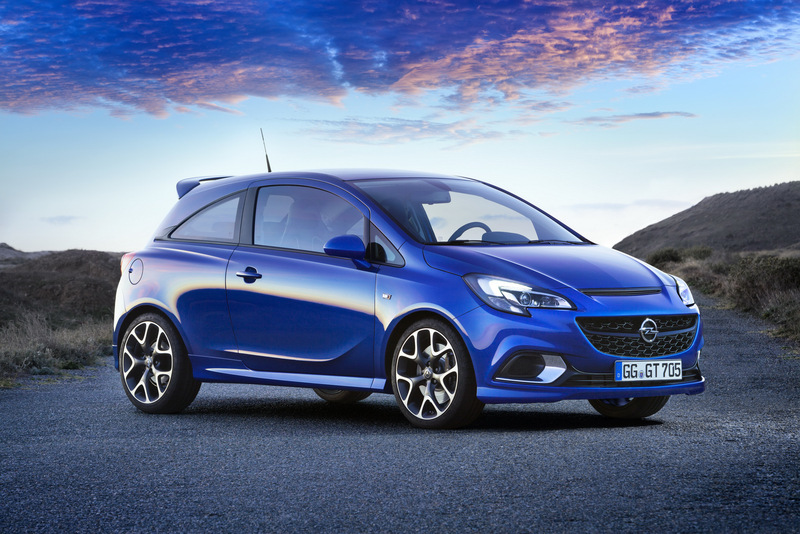 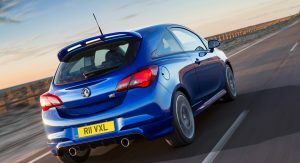 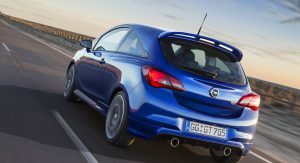 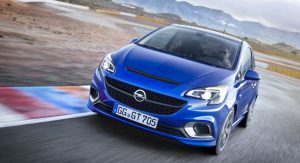 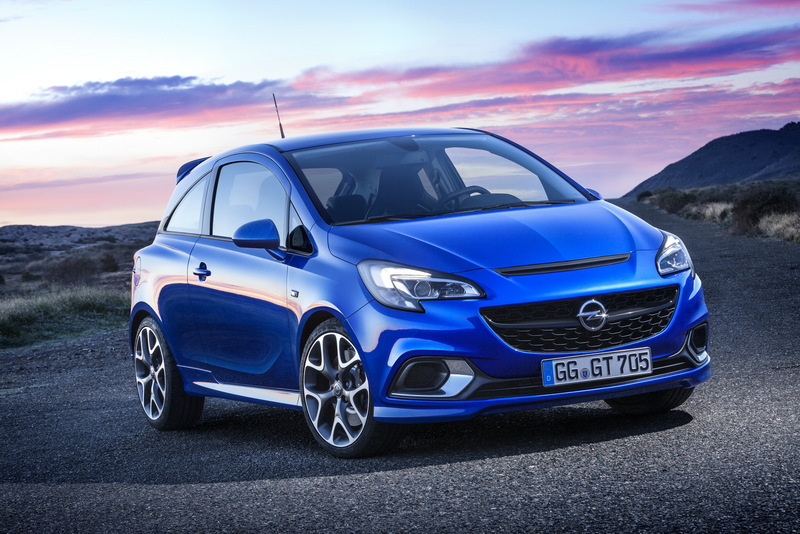 Following a series of “leaked photos,” Opel and Vauxhall have officially revealed the new Corsa OPC/VXR hot-hatches, which continue to use a turbocharged 1.6-liter petrol engine. 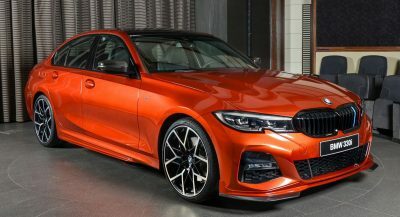 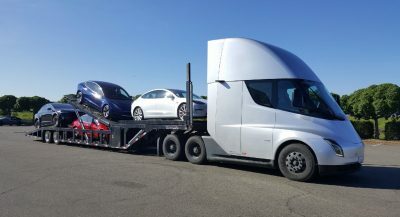 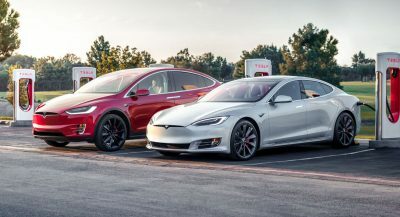 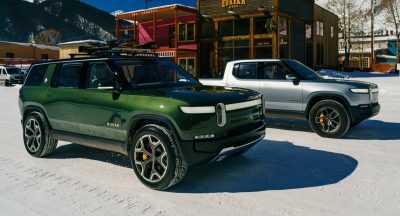 Compared to the previous-generation model, power output has increased by 15PS to 207PS (204hp), with a maximum torque of 245Nm (181lb-ft) between 1,900 and 5,800 rpm. An overboost function increases torque to 280Nm (206lb-ft) when needed. 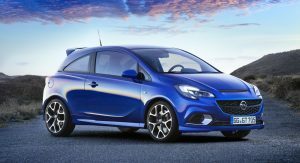 As a result, the Corsa OPC is able to sprint from 0 to 100 km/h (62 mph) in 6.8 seconds and to reach a maximum speed of 230 km/h (143 mph). 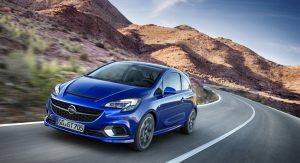 The engine delivers power to the front wheels via a six-speed transmission, with combined fuel consumption rated at 7.5 l/100 km (31.3 mpg US or 37.6 mpg UK). 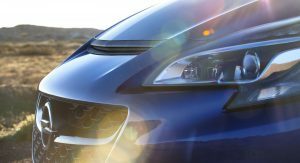 CO2 emissions are 174 g/km. 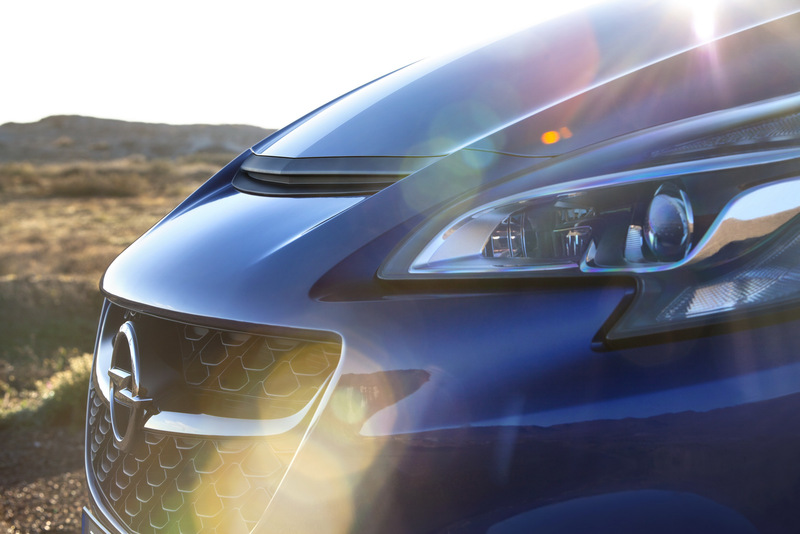 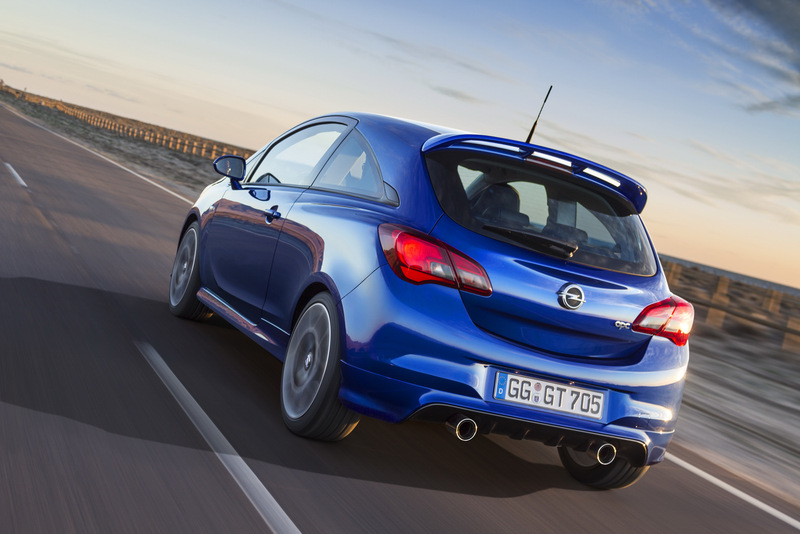 The Corsa OPC features a sports chassis with Frequency Selective Damping (FSD) technology, which enables the damping forces to adapt to the frequency of the car to balance sportiness with comfort. 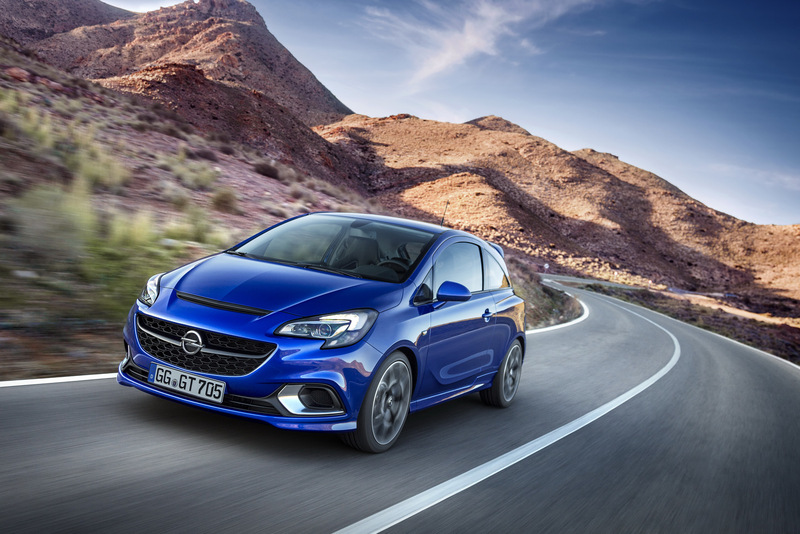 The suspension is lowered by 10mm (0.39in) compared to standard Corsa models, and the car also gets an optimized steering system with more direct and precise reactions. 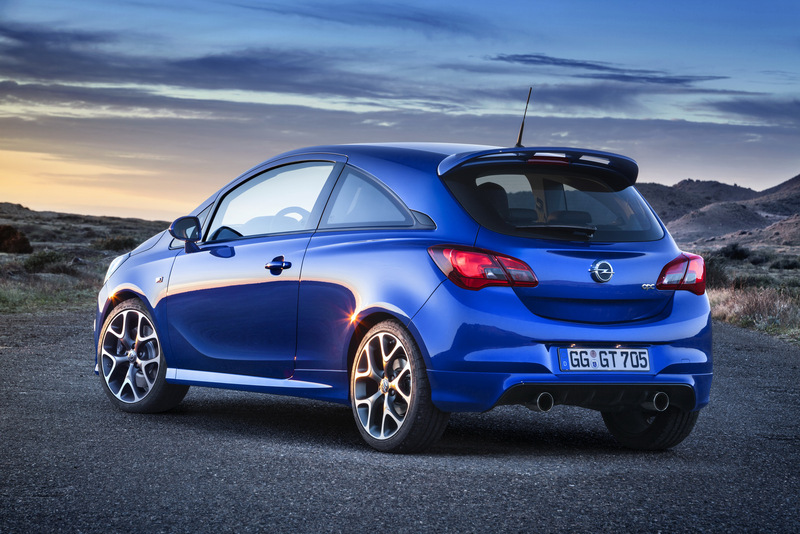 OPC also worked on the brakes, adding 308mm discs on the front axle. 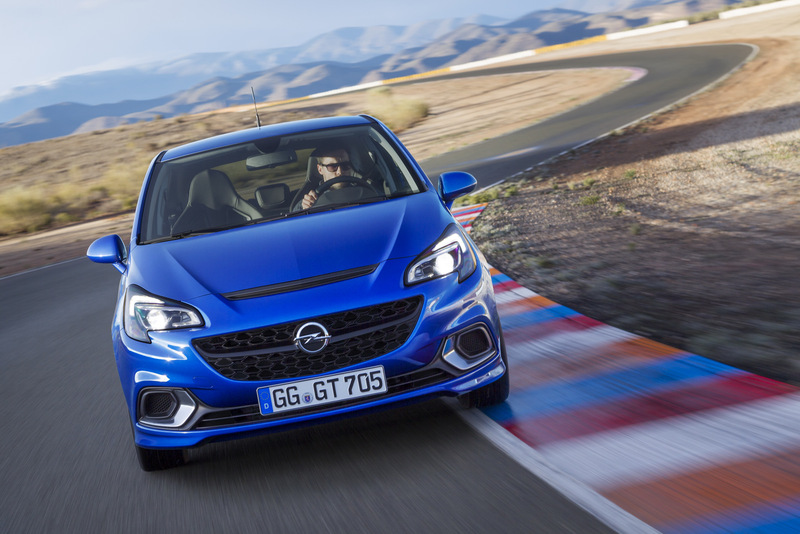 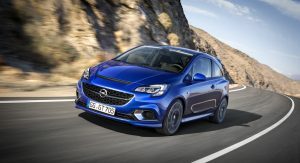 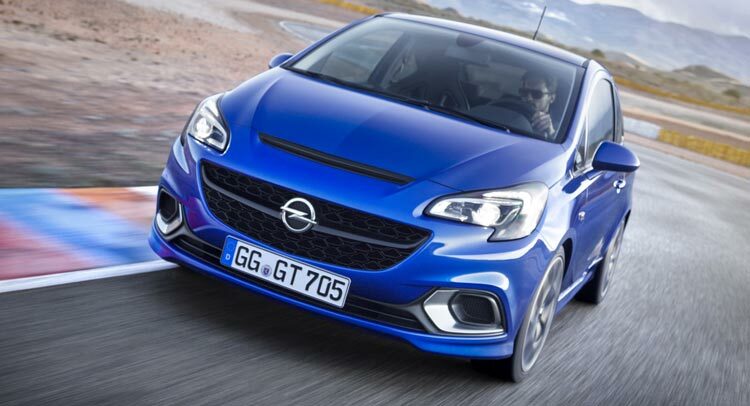 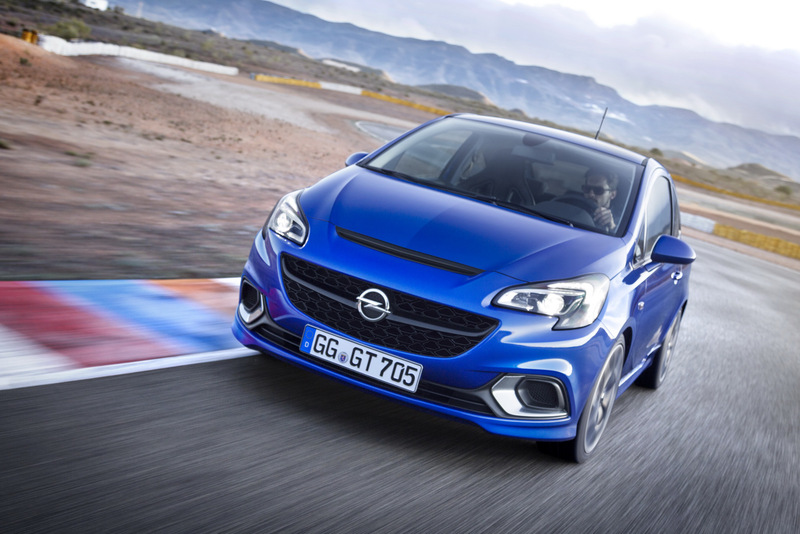 For those wanting more performance, Opel also offers the Corsa OPC Performance Package, which includes a mechanical multi-disc differential lock made by Drexler, 18-inch wheels with Michelin tires and an even more athletic chassis set-up. 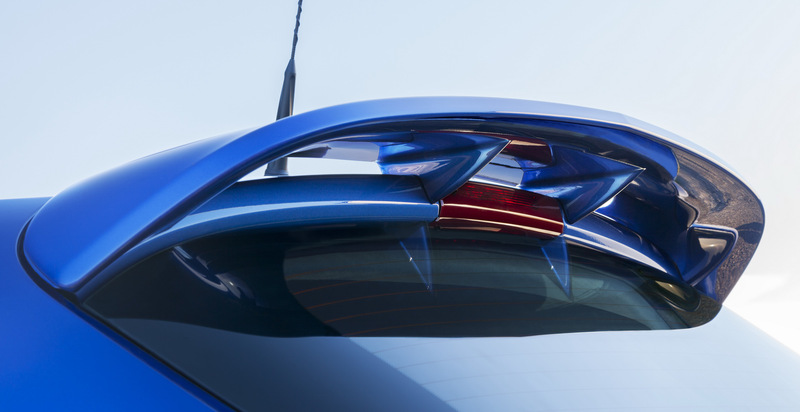 The package also brings a Brembo high performance braking system with 330mm braking discs on the front axle. 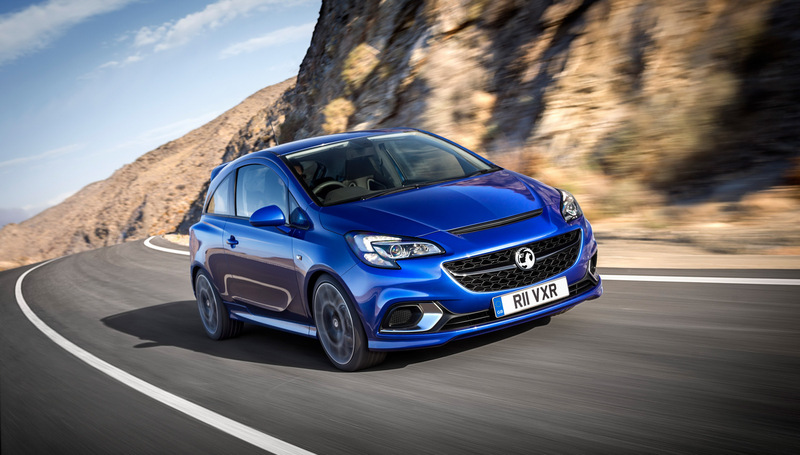 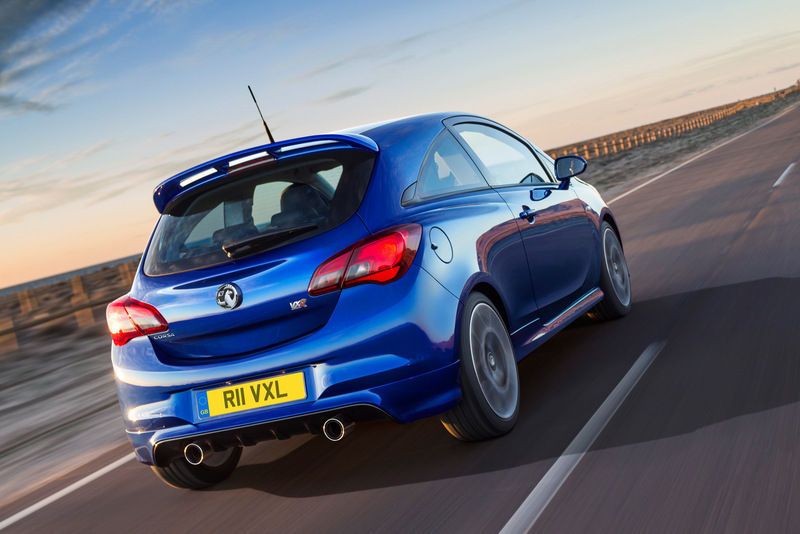 Styling wise, the Corsa OPC/VXR get more aggressive body kits with new bumpers, aluminum frames for the fog lights, a small scoop in the hood, a big roof spoiler and twin-pipe Remus exhaust with a diffuser. 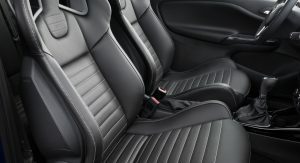 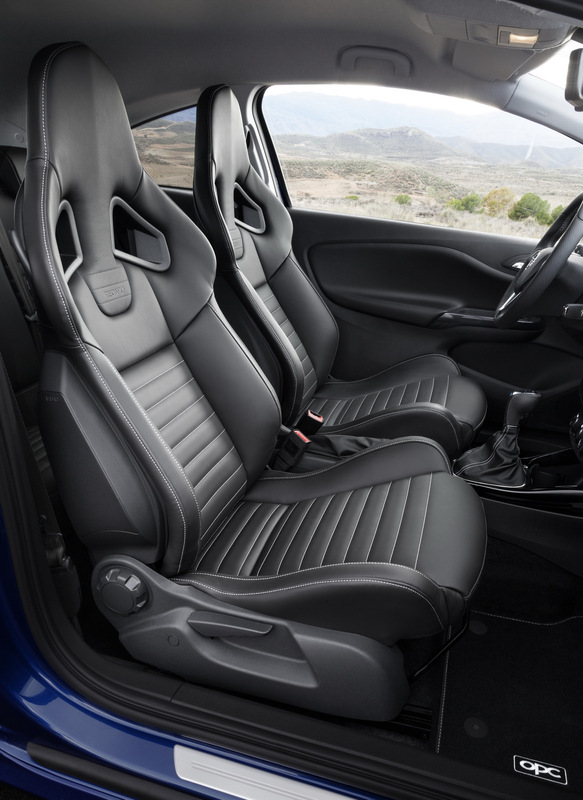 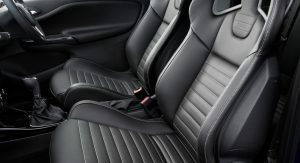 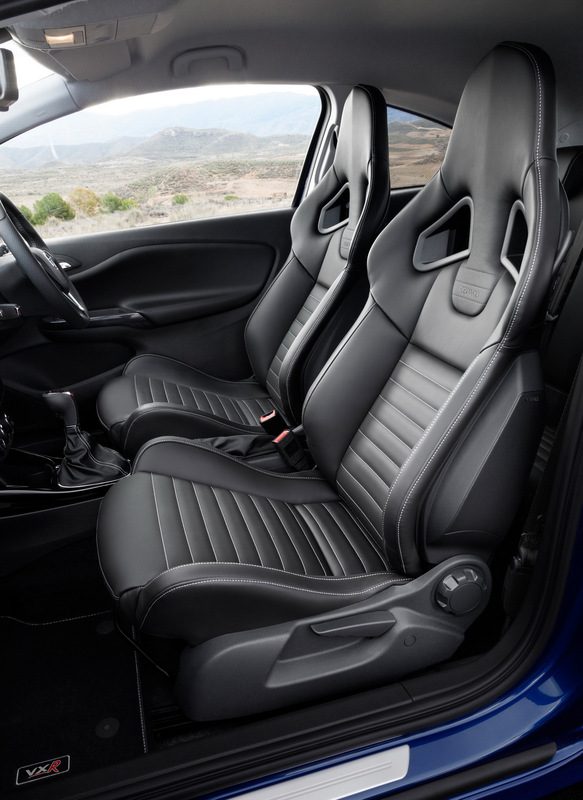 Inside, the Recaro performance seats take center stage, with other upgrades including the flat-bottomed leather steering wheel, OPC gear knob and sports pedals along, as well as OPC design instruments.